and such good neighbors ... just like we all remember! Spring, Summer, Fall or Winter ... We welcome you to Marblehead for a leisurely visit or for a lifetime! Crisp blue water, a lighthouse beacon shimmering in the night, small town charm, historic landmarks, a quaint waterfront village, picture perfect sunrises, hometown restaurants, friendly pubs, unique gifts, a perfect family vacation, the ideal romantic getaway. In our town, there is something for everyone. Shop, dine, stay and play in beautiful Marblehead, Ohio. 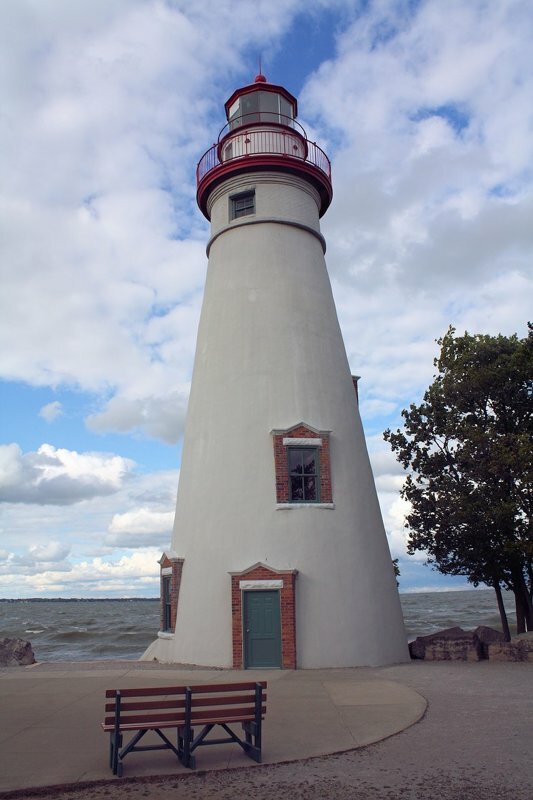 Marblehead Lighthouse State Park offers excellent picnicking and views of Lake Erie, Sandusky Bay, Kelleys Island and South Bass Island. Lakeside Daisy State Nature Preserve protects the only natural United States population of the Lakeside Daisy, a threatened plant which only occurs naturally at a handful of sites. Lake Point Park is a serene picnic area with grills, a bridge crossing a delightful stream and access to both quarry and the lake. 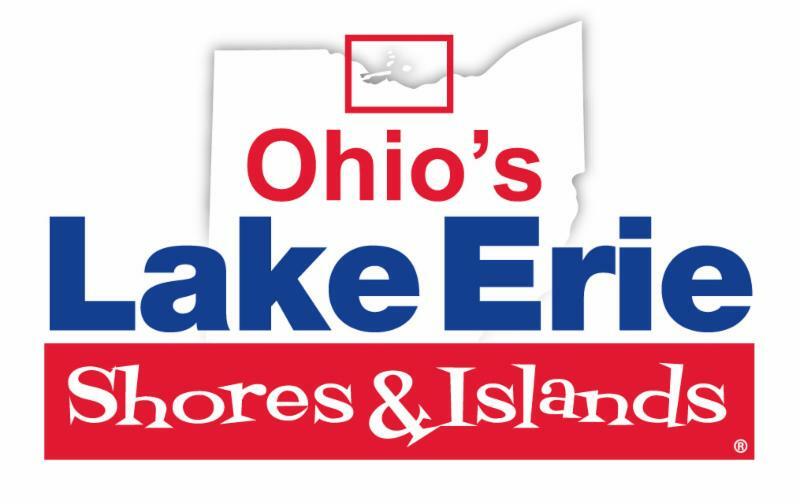 Ohio’s 1,831-acre East Harbor State Park, located on the shores of Lake Erie has unlimited opportunities for outdoor recreation. The 150-acre Great Egret Marsh Preserve boasts classic Lake Erie marshland, blanketed each summer with water lotus and teeming with wildlife. East Harbor State Park Beach is open dawn to dusk, is free to the public, and also features walking trails, a bike path and camping. The 15.9-acre Mazurik Access Area is located on the north side of Marblehead Peninsula just west of Lakeside and features a small beach composed of large cobble and shell fragments. Nature enthusiasts will enjoy the abundance of waterfowl, shorebirds and other species of wildlife found in the park’s scenic wetlands. The Village of Marblehead is steeped in history. The first War of 1812 battle on Ohio soil was fought here when about 60 exhausted citizen soldiers were ambushed by about 130 Indians on September 29. Nearby Johnson’s Island Confederate Cemetery is the final resting place for 206 Confederate officers. The Keeper’s House, the oldest surviving home in Ottawa County, was built in 1822 by the keeper of the nearby Marblehead Lighthouse, Benjamin Wolcott. A second Keeper’s House is located next to the lighthouse. 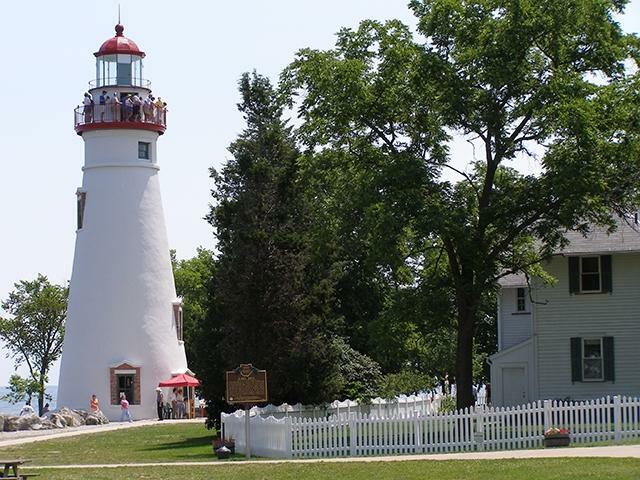 Marblehead Lighthouse, in operation since 1822, is the oldest continuously operated lighthouse on the Great Lakes. The Marblehead Lighthouse Historical Society Museum displays photographs and artifacts relating to the history of the lighthouse and Marblehead. A replica of the lifesaving station that once protected the waters off the Marblehead Peninsula features an authentic lifesaving boat and additional exhibits. This website is provided as a public service. Users of this website are responsible for checking the accuracy, completeness, content, currency, suitability, and timeliness of all information. 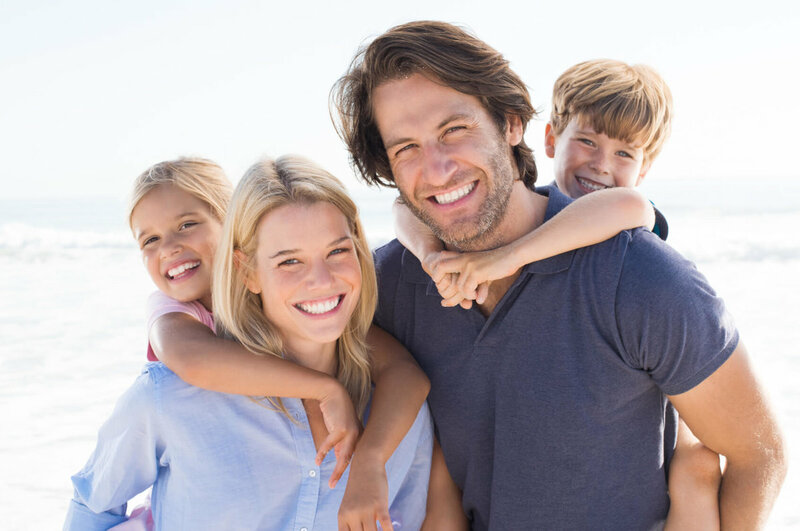 The Village of Marblehead makes no representations, guarantees, or warranties, expressed or implied, as to the accuracy, completeness, content, currency, suitability, and timeliness of the information provided via this website. This information is provided on an "as is" basis. Area links are provided by various agencies, businesses and governments. By clicking on these links, you will leave our website. The websites you will go to are not endorsed by the Village of Marblehead. The Village of Marblehead does not endorse the content of any third-party website. The Village of Marblehead is not responsible for the content of links, third-party sites, sites framed within the Village website or third-party advertisements, and does not make any representations regarding their content or accuracy. Your use of third-party websites is at your own risk.